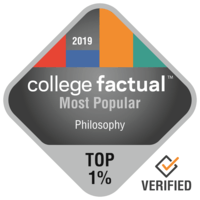 GRE and LSAT scores of Philosophy majors exceed those of most other majors. Why study Philosophy? and, What skills come with a Philosophy degree? Unlimited possibilities await graduates with degrees in philosophy and PPEL. The hard part is choosing what is next. Some of our recent graduates are attending Washington University Law School, the London School of Economics, University of California Hastings College of Law, Kings College in London, Georgetown University, Columbia University, and ASU Sandra Day O'Connor Law School.They have become entrepreneurs, lawyers, political candidates, and have landed jobs on campaigns, in Washington D.C. thinktanks, with private companies and in the public sector.